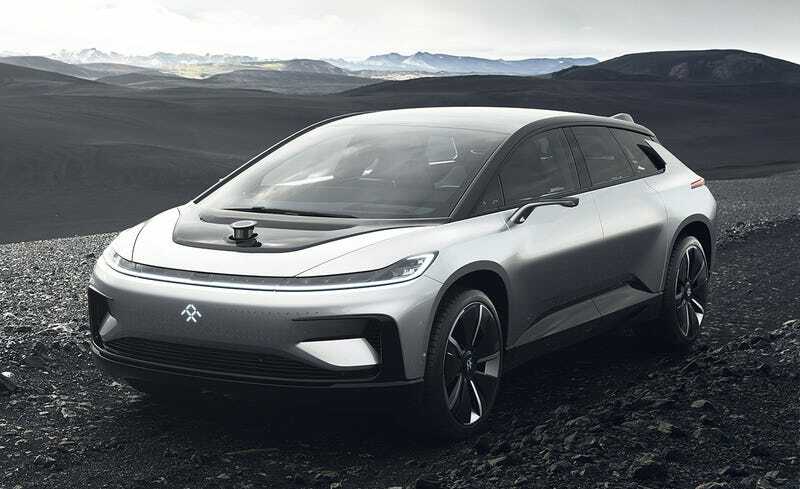 On Thursday, Jalopnik reported that Faraday Future’s chief financial officer, BMW and Deutsche Bank veteran Stefan Krause, appeared likely to leave the company in the coming days. As it turns out, we have since learned Krause is already gone. His resignation was effective immediately on Oct. 14. When reached Friday morning, Krause confirmed the move. He declined to comment further. A spokesperson for Faraday declined to comment. Krause joined the the three-year-old electric car startup in March, having spent 30 years in executive positions at companies like BMW and Deutsche Bank. His main task had been to court new investors and raise $1 billion for Faraday’s ambitious project, which involved launching production of a futuristic electric car, dubbed the FF 91. In recent weeks, a number of high-ranking staffers have left the company, including two founding executives. Sources have told Jalopnik that Krause has managed to bring investors to the table with serious offers, but they required Faraday’s main financier, Chinese tech entrepreneur Jia Yueting, to relinquish control of the company. So far, source said, Jia has refused to step aside. Krause’s resignation adds an additional blemish to this rocky year for Faraday. The company’s history is marked by big promises and intense skepticism from the motoring press and investors alike, and throughout 2017, Faraday has tried to position itself as a serious contender among a crowded field that’s vying to bring electric autonomous cars to life. In July, Faraday backed away from a plan to build a $1 billion factory in Nevada, and the hopeful fundraising round hasn’t been successful. That same month, after missing several loan payments, a Chinese court froze $182 million in assets of Jia, prompting fresh concerns about Faraday’s viability. Having abandoned the plans for a factory in Nevada, the company secured a $14 million emergency loan to keep the lights on and found a substitute facility in California. Separately, documents from an apparent presentation that purports to show Faraday had plans to file for bankruptcy over the summer have circulated for weeks among Chinese news outlets. The documents outline a plan for new investors to pour $150 million in the company, pay an additional $130 million to settle claims with outstanding creditors, and then assume control of Faraday by November. Update (12:30 PM): The Verge is reporting that two other high-profile execs at the company are on their way out the door, as well. Ulrich Kranz, the company’s CTO and another former BMW executive who joined in July, is leaving or has already left the company, The Verge has learned. And the same goes for former Ford Fusion program leader Bill Strickland, who was in charge of running Faraday Future’s vehicle manufacturing line. Faraday declined to comment on the additional departures, when reached by Verge. The news outlet also said that, at one point, FF was in discussion with Indian automotive manufacturer Mahindra & Mahindra to acquire parts of the company.